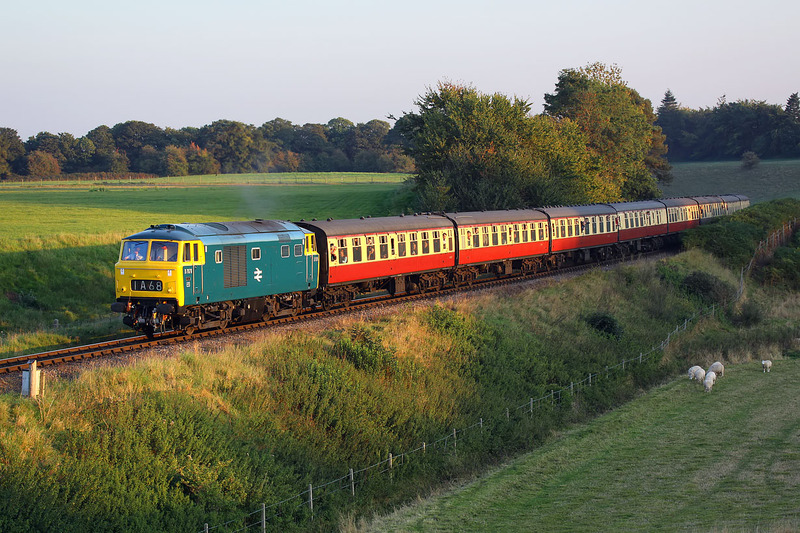 Catching the very last rays of the setting sun, D7076 climbs Eardington Bank, on the Severn Valley Railway, with the 17:01 Kidderminster to Bridgnorth service on 2 October 2015, during the line's Diesel Gala. Luckily this was on time, as the light was rapidly fading, and worse still, the shadows were climbing the embankment with frightening speed. Not only does the classic Wilkes & Ashmore designed Hymek look fantastic in the evening light, but the racket it made when opening up was pretty impressive too! A great end to a day's photography.